St. Patrick’s Day is the first holiday of the spring season, even if it just falls short of the spring equinox on March 20th. 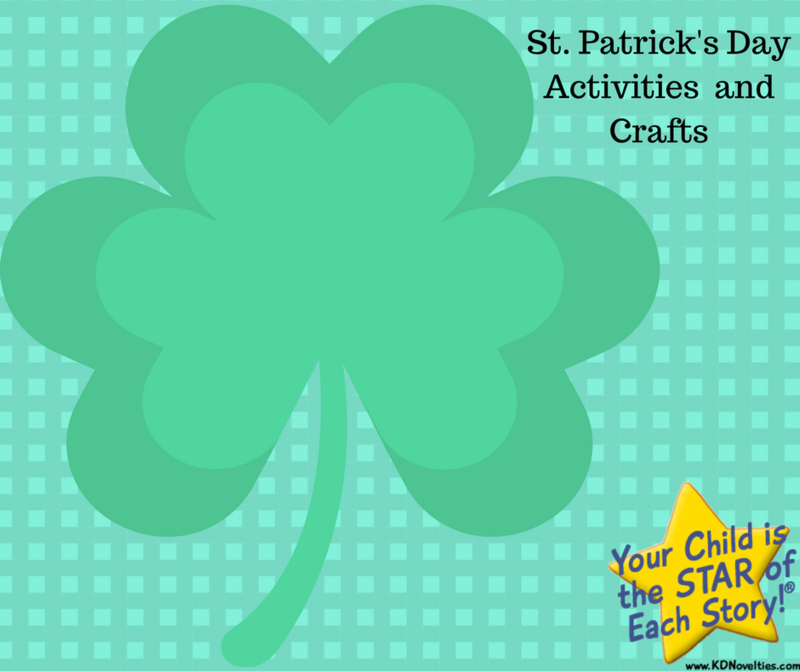 Whether you happen to be Irish or not, St. Patrick’s Day is all about what’s good and green, and there are plenty of spring-inspired activities to entertain children this time of year. There are two things that people associate with St. Patrick’s Day: the color green and shamrocks. Incorporating these features into any art activity can be easy, but to make things a little more fun, you can get creative and make DIY decorations, create your own games or even your own St. Patrick’s Day outfits and props. 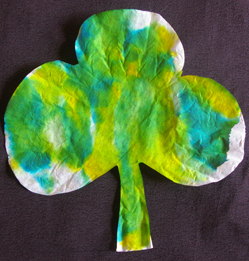 Instructions: Cut the coffee filter out into the shape of a shamrock. Put water in two baby food jars or similar containers. Add yellow food coloring to one jar and blue to the other. Give kids Q-tips or small cotton swabs and let them mix the colors on the coffee filter. You end up with a a cool tye-dyed green shamrock! Instructions: Cut three heart shapes using the green paper. Then, glue the tips of the three hearts together to form a shamrock when combined. Staple the shamrock in the center to the end of the straw which will form your handle. 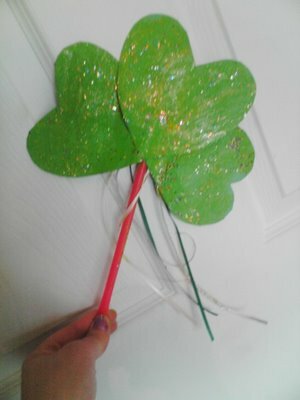 Decorate the shamrock with gold glitter and other materials as desired. Cut ribbons into 3 foot strands. Gather ribbons together at one end, and staple them to the back of the shamrock at the center so that the ends hang down from the shamrock wand. If desired, cut several tiny shamrocks from the remainder of the paper and staple them along the ribbons as well. The word ‘research’ may not always inspire excitement, but learning more about the St. Patrick’s Day holiday and the Irish culture can be interesting, and fun too. There are plenty of traditional songs, poems, and dances that you can discover and try along with your kids. Put on a play or a performance including some of the stuff you and your children have learned! Reading can also be exciting, too. There are fantastical tales of leprechauns and the luck of the Irish, but there are also plenty of children’s books and reference materials that can teach you and your kids more about the holiday, St. Patrick, and other Irish traditions. Around the end of March, corned beef and cabbage suddenly become very in-demand. Cooking with kids is a great way to introduce them to new foods, but it can also provide you with some memory-making bonding time, too. Whether you decide to make a traditional Irish dinner or simply want to indulge in some Irish Soda Bread, enlist your kids to help you gather ingredients, prepare the meal, and eat it as well! 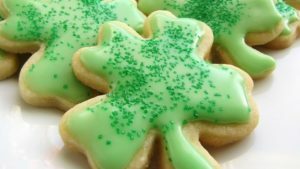 There is always room for St. Patrick’s Day themed cakes and cookies, as well. Play around with the color green, mint or pistachio flavored treats, and go to town! Cut cookies out into shamrock shapes, add fun St. Patrick’s themed straws, sprinkles, and more. If you want to try and be a bit healthier, you can also try to create a dish like a healthy shake or smoothie using hearty, healthy greens like kale, spinach, and other fruits and veggies to keep with the spirit of the holiday.